The post Microaggressions Vol. 1 Comic 4 appeared first on Daily Trojan. Both teams are battling for seeding and bragging rights in the last few matches. 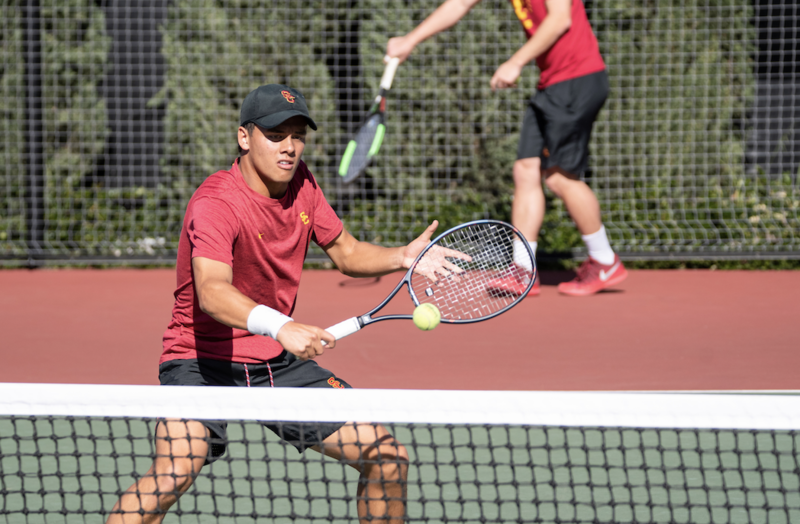 The post Men’s and women’s tennis round out regular season appeared first on Daily Trojan. The Trojans will have to stave off the distractions that come with a rivalry game in order to defeat No. 3-ranked UCLA. 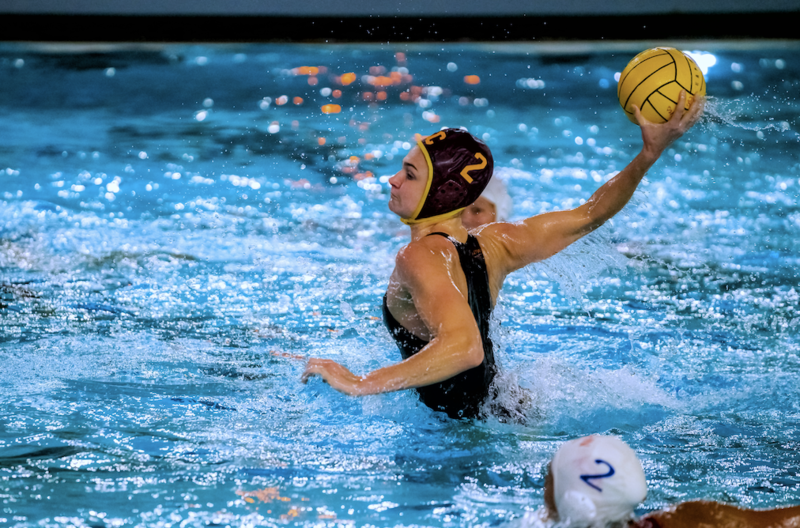 The post Water polo looks to stay on track as season winds down appeared first on Daily Trojan. 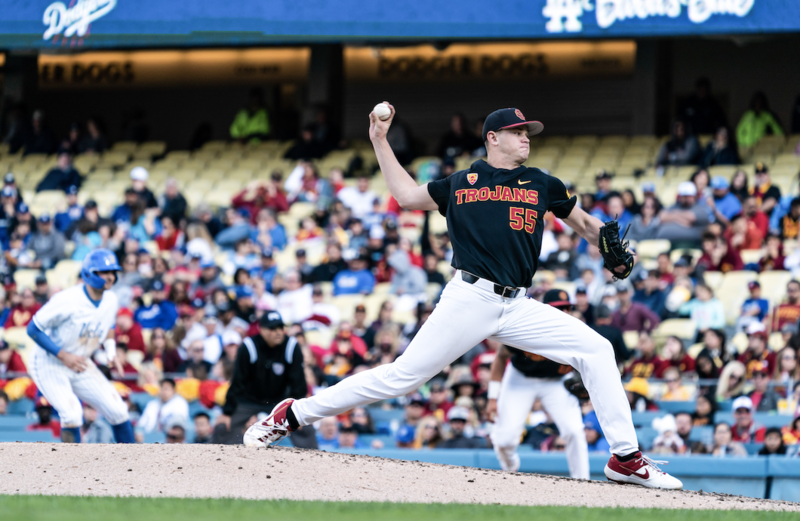 USC took a while to find its groove, but the Trojans were able to secure a routine win. The post Baseball defeats Pepperdine appeared first on Daily Trojan. It’s hard now to fully understand the impact of Jackie Robinson in his time. 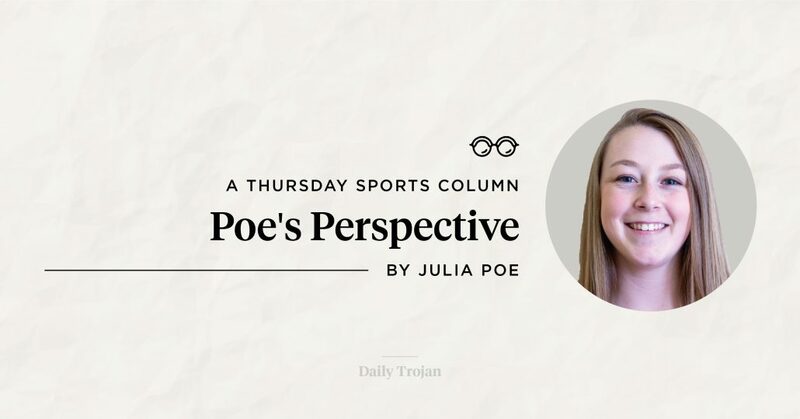 The post Poe’s Perspective: Don’t forget Robinson’s enormous impact appeared first on Daily Trojan. The Boiling Crab serves Vietnamese-Cajun food, a twist on classic Cajun cooking with Vietnamese standards. 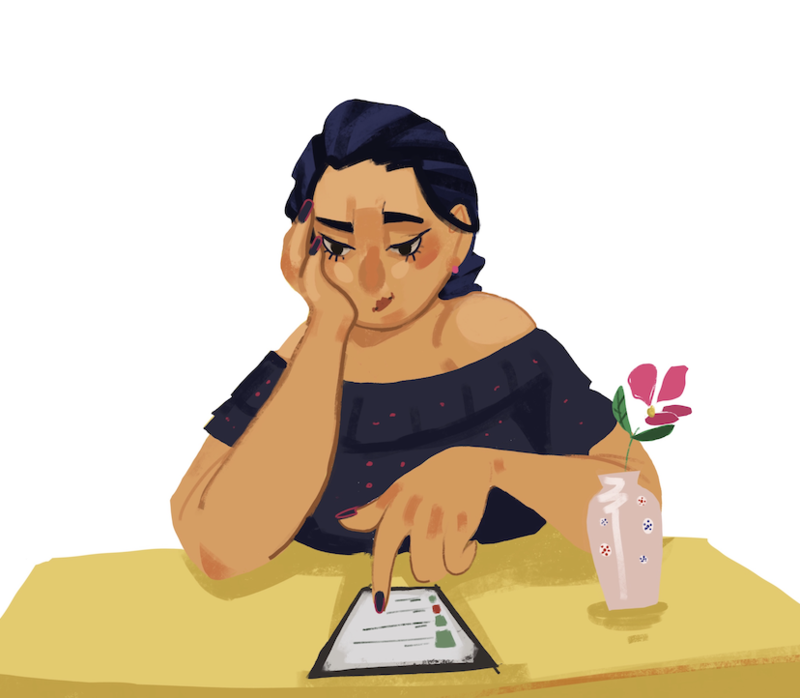 The post Eating L.A. Before it Eats Itself: The Boiling Crab successfully melds cuisines appeared first on Daily Trojan. 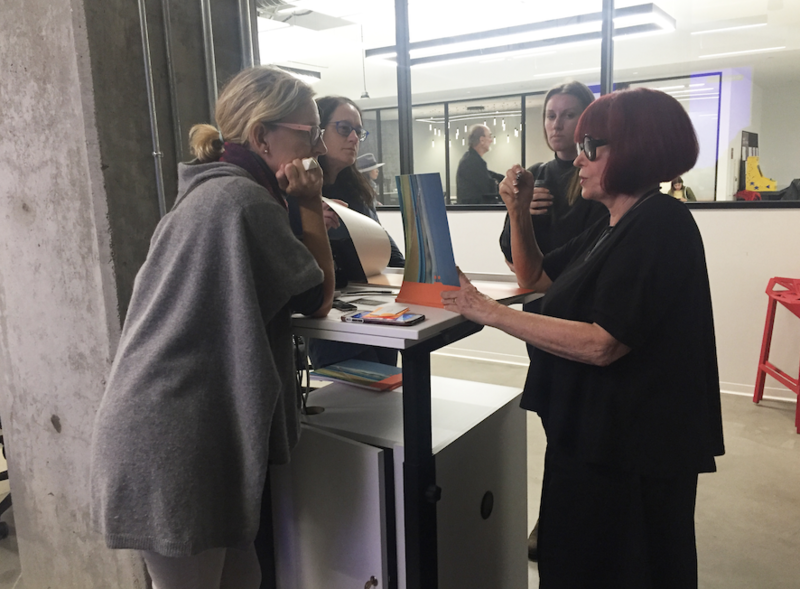 Artist April Greiman spoke at the Roski School of Art and Design Tuesday. The post Media artist discusses success, gives advice to creatives appeared first on Daily Trojan. To provide a holistic review of courses for registering students, the university should mandate and regulate student feedback. The post OPINION: USC should introduce student-accessible course evaluations appeared first on Daily Trojan. The media failed Americans in 2016. 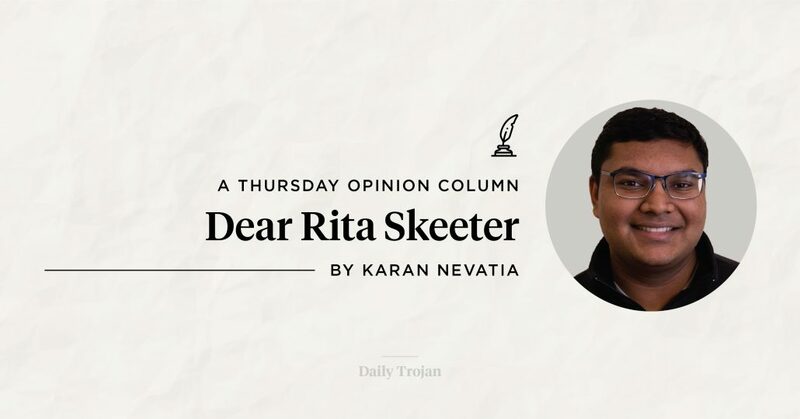 The post Dear Rita Skeeter: 2020 election coverage needs to focus more on policy over controversy appeared first on Daily Trojan. Anthony Scaramucci spoke to students about his time in the Trump administration. The post Former White House staffer discusses Republican Party appeared first on Daily Trojan. The center will be renamed La CASA following a student petition in Spring 2018. 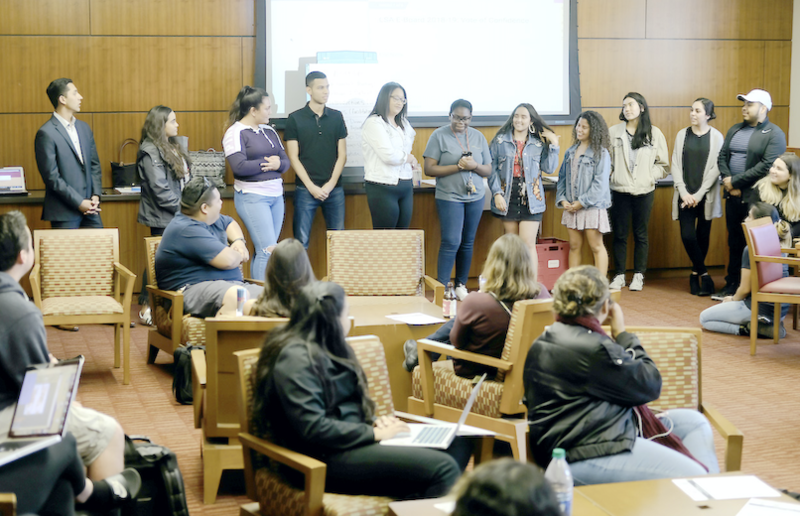 The post El Centro Chicano changes name appeared first on Daily Trojan. The Daily Trojan features Classified advertising in each day's edition. Here you can read, search, and even print out each day's edition of the Classifieds. The post Classifieds – April 18, 2019 appeared first on Daily Trojan. 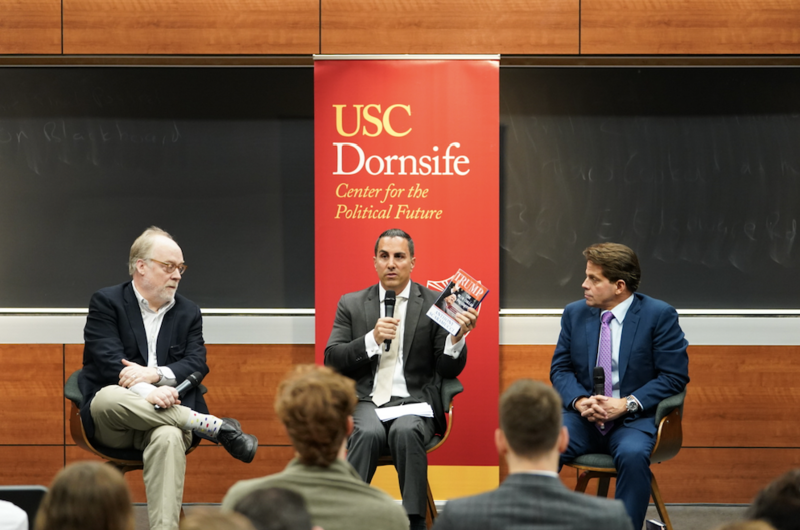 The forum taught attendees about USC’s law-mandated sustainability policies. 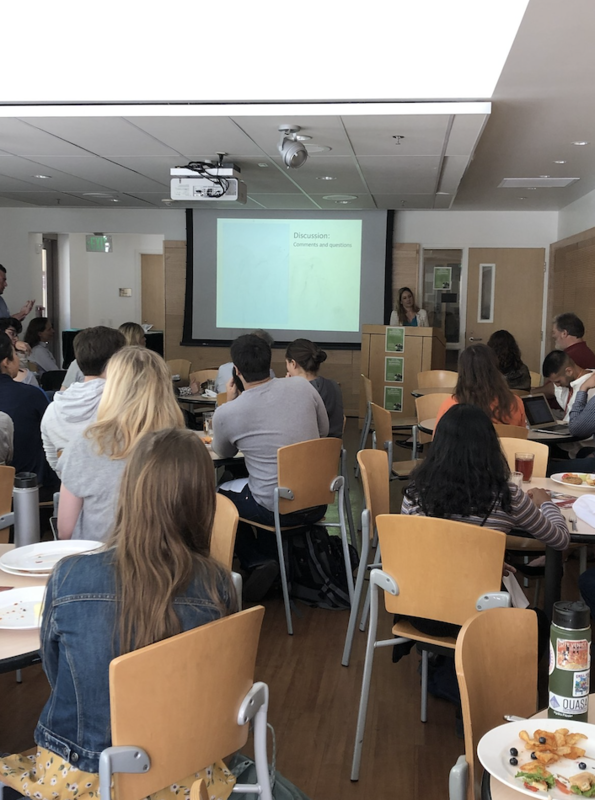 The post Solar panels, sustainability discussed at ESA forum appeared first on Daily Trojan. 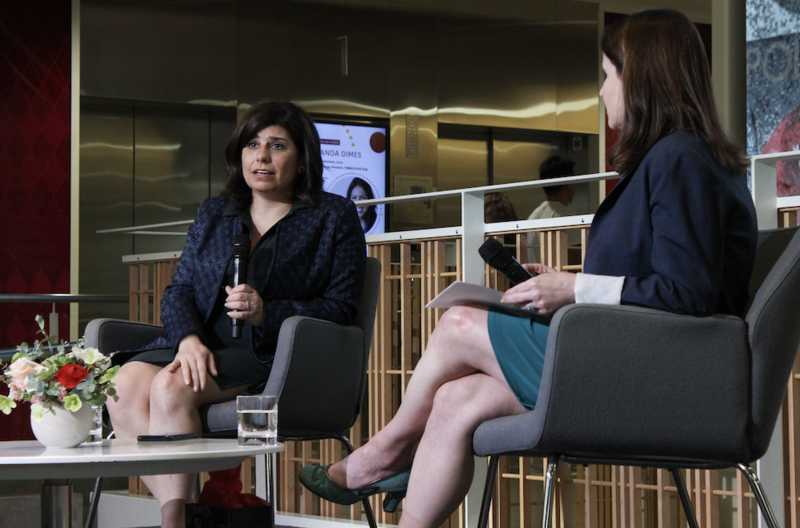 Carrie Budoff Brown talked about Politico's standards for its reporters. The post Politico editor discusses objectivity appeared first on Daily Trojan. The resolution requires student representatives to attend bystander training. 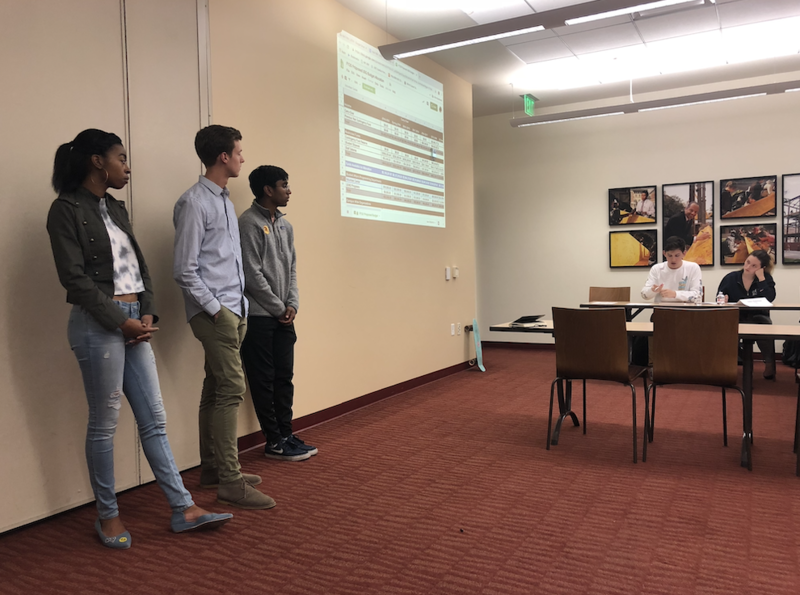 The post USG repasses bystander training resolution appeared first on Daily Trojan. Emmanuel Martinez was named a finalist for Explanatory Reporting. The post USC alumnus named Pulitzer Prize finalist appeared first on Daily Trojan. Protesters from USC Forward and other organizations voiced their demands Tuesday. The post USC community marches for University accountability appeared first on Daily Trojan. The residential college was renamed after a donation from William and Leslie McMorrow. The post Priam Residential College renamed after Trustee appeared first on Daily Trojan. 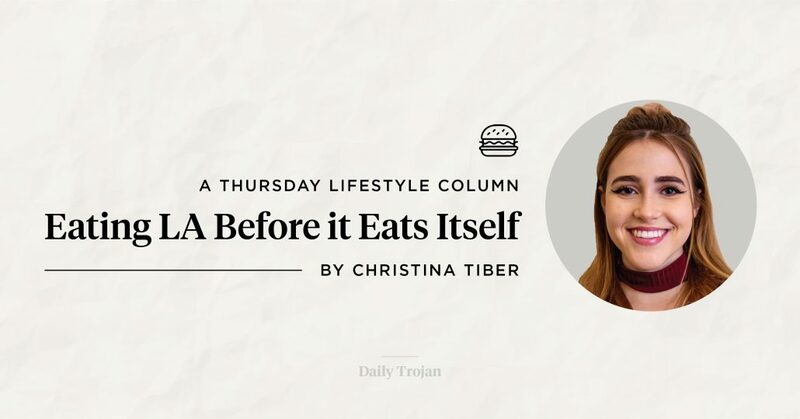 The Daily Trojan features Classified advertising in each day's edition. Here you can read, search, and even print out each day's edition of the Classifieds. The post Classifieds – April 17, 2019 appeared first on Daily Trojan.